Everyone Active is one of the UK’s leading activity brands, whose mission is to be everyone’s first choice for activity. Southam Leisure Centre is the ideal place for you to increase your activity participation levels and in turn, get fit and stay healthy. Facilities at Southam Leisure Centre include a fitness suite equipped with 55 pieces of equipment, so if you enjoy a good work out then this is a great way to boost your fitness levels. The centre is also home to a fantastic 25m main pool. 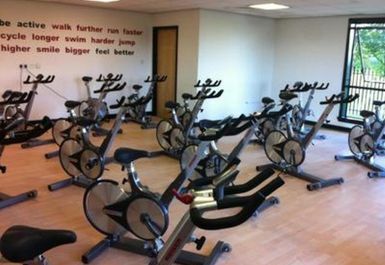 Southam Leisure Centre is located on Welsh Road West in the small market town of Southam. Good clean gym. Needs another barbell. Small gym but for a gym in a small town it is what I expected. Good range of dumbells considering the small floor to use them. This gym focuses more on cardiovascular equipment but a weights training session is easily achievable if its not overcrowded.